Sketches of Canada for November 5th! The Wreck of the Edmund Fitzgerald a song written, composed and performed by Canadian Gordon Lightfoot to commemorate the sinking of the bulk carrier SS Edmund Fitzgerald on Lake Superior. The song reaches number 1 on the billboard pop charts November 5, 1976. 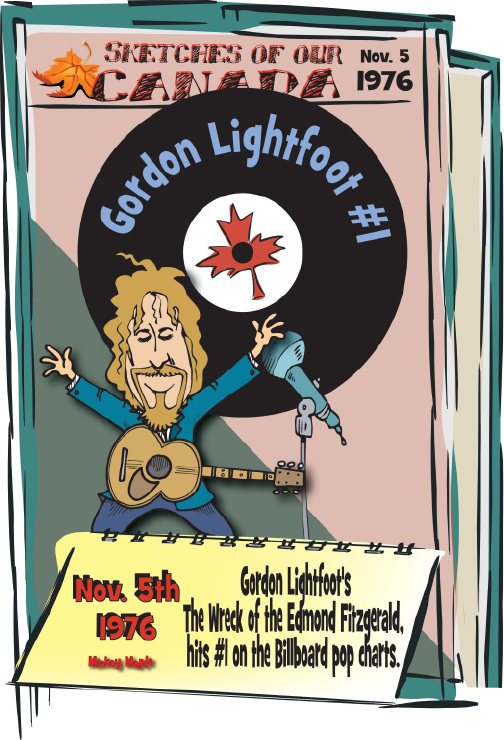 This Canadian History for Kids, Sketches of our Canada, looks at the career of Canada’s own Gordon Lightfoot. Gordon Lightfoot is perhaps the most accomplished and well-known singer/songwriter to ever come out of Canada. He is internationally known for such monumental folk/pop/rock hits as “Sundown”, “If You Could Read My Mind”, “Early Mornin’ Rain”, “Wreck of The Edmund Fitzgerald” and many more. His songs have been covered by such music giants as Elvis Presley, Bob Dylan, and Barbra Streisand. Not bad for a kid named Gordy from Orillia, Ontario. 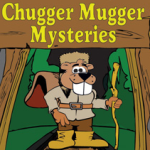 This Canadian History for Kids begins when Lightfood was born in November of 1938. This Canadian singer-songwriter made his first public appearance singing the tune “Too Ra Loo Ra Loo Ra” (an Irish lullaby) in grade four, which was broadcast over his school’s public address system on a parents’ day event. Lightfoot was a boy soprano; he appeared periodically on local radio in the Orillia area, performed in local operettas and oratorios, and gained experience through various Kiwanis music festivals. Lightfoot moved to California in 1958, where he studied jazz and orchestration for two years at Hollywood’s Westlake College of Music, which had many Canadian students. To support himself, he sang on demonstration records and wrote, arranged, and produced commercial jingles. He missed Toronto and moved back in 1960. He has lived in Canada since then. He soon became known in the Toronto coffee houses promoting folk music. In 1962, Lightfoot released two singles that were local hits in Toronto and received some airplay across Canada. From there his career finally took off. Gordon Lightfoot has received sixteen Juno Awards—for top folk singer in 1965, 1966, 1968, 1969, 1973, 1974, 1975, 1976 and 1977, for top male vocalist in 1967, 1970, 1971, 1972 and 1973, and as composer of the year in 1972 and 1976, and has been nominated for five Grammy Awards. In 1974 Lightfoot’s song “Sundown” was named pop record of the year by the Music Operators of America. In 1980 he was named Canadian male recording artist of the decade, for his work in the 1970s.